Based on the bestselling education series of all time, Brain Quest on DS is finally here! Available separately for Grades 3&4 and Grades 5&6, each comes with 6,000 exciting questions! Learn while you explore in Quest Mode. In Brain Mode, try your best at 6 different subjects. Still hungry for knowledge? 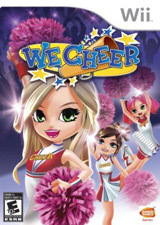 Try multiplayer Mode or Sudoku! Unlock collectibles and customize 6 fun scenes! In Unsolved Crimes you’re a rookie detective and part of the homicide division. Betsy Blake, an aspiring model and the sister of your new partner has disappeared. With a loner as the prime suspect, it seems like an open and shut case, but the more you uncover, the deeper the case becomes. Can you piece together clues the beat cops can’t? Can you get to the bottom of the kidnapping that is all over the news? 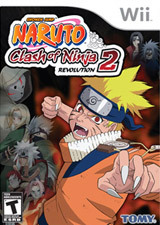 Developed by Eighting and featuring the largest character roster yet for the series and an all-new storyline created for the North American audience. This latest iteration of the hit series is a huge expansion, with never-before-seen modes, improved visual presentation, and polished gameplay mechanics. Pipe Mania builds on the INFECTIOUS playability of the original with expanded game modes, new themes, new play mechanics, and new pieces to challenge players of all types and ages. Alfonso Senior, having made his fortune from the original Pipe Mania has retired to his own private island paradise. There’s just one problem – the island is being ruined by cowboy plumbers. The BIGGEST of them all, Buffalo Bonzo is wreaking havoc all over the island. Playing as Alfonso’s children, Junior and Fawcett, it’s up to you to take over the family business and save the island from pollution. * Build up an Island World with all manner of Pipelines, such as, Sewers, Internet, Trains, Conveyor Belts, Electricity and more! * And a loveable storyline with a great cast of characters! jump, flip, spin and dance to the rhythm of the hottest music from the past and present. Master your moves with precision and timing, and get ready to beat the other squads to claim the #1spot in the championship. The residents of Kololo Kingdom have gone missing! From pandas to puppies to pigs, these adorable round critters must be grouped in matching twos and sent home where they belong. Roll them around obstacles and reconnect them with their partners to ensure their safe return in the newest puzzle addiction to hit the Nintendo DS! Use the stylus to round up these adorable critters into pairs and send them home in this addictive new puzzle sensation!